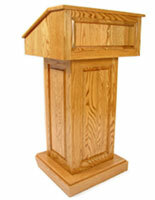 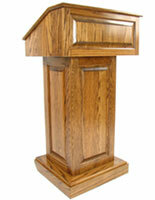 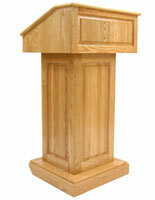 This solid wood podium can be used as a floorstanding or tabletop lectern. The top reading shelf is adjustable to create a flat or angled surface. 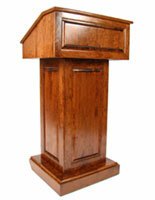 Cutouts in the solid wood podium conceal cords and wires to provide a neat, professional-looking workspace. The interior shelf can be removed to create storage space for equipment and supplies. 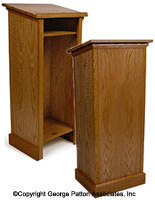 This solid wood podium also has hidden rear wheels for mobility. 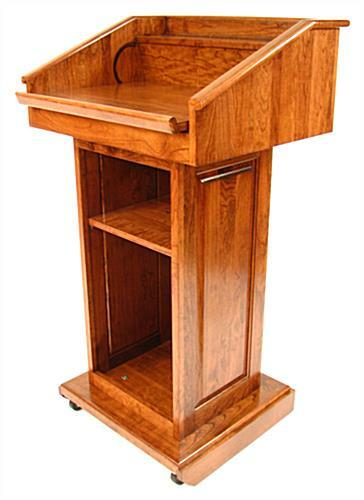 This lectern is the perfect presentation tool for any application. 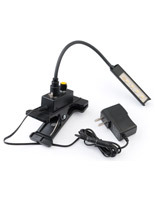 Easy Assembly! 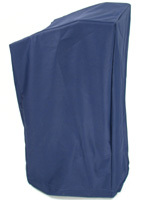 Simply line up the 3 holes in each section and insert the black plastic T-shaped screw into the bottom of each section. 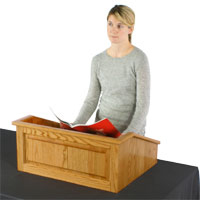 The top of this genuine wood podium can be easily removed and used as a tabletop lectern. 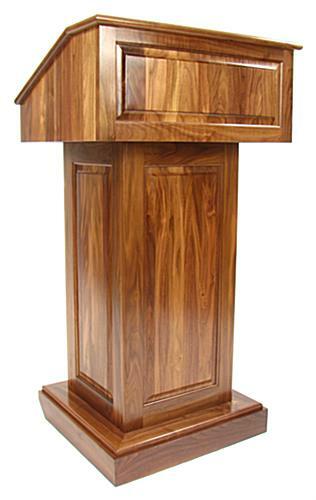 Just remove the 3 "T" nuts connecting the top to the center coloumn and place it on any table or platform.